Bring versatility, adaptability, and durability to your food service establishment with the Vollrath TR1A Traex® full-size 5 1/2" open rack! This open rack provides the superior protection and spot-free washing that will always leave your dishware looking its best. This full-size open rack includes an extender, designed to the add extra height needed to compensate for tall dishware. This rack has no restricting compartments, making it perfect for oversized or irregularly shaped dishes. 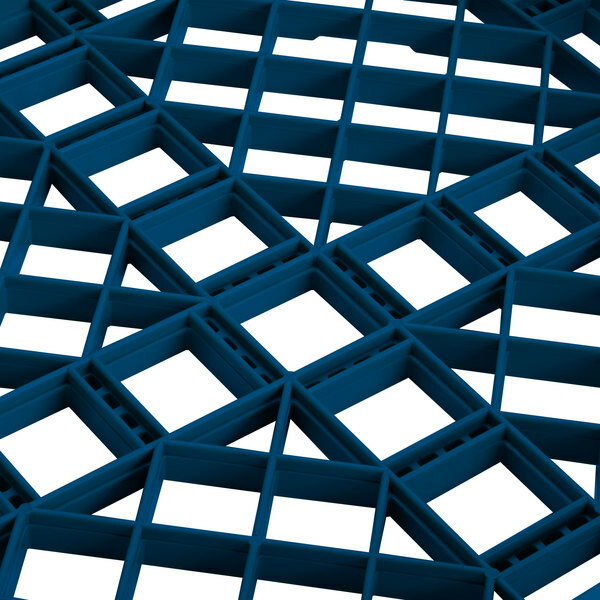 In addition, this rack is easily stackable, creating a convenient space-saving storage option. 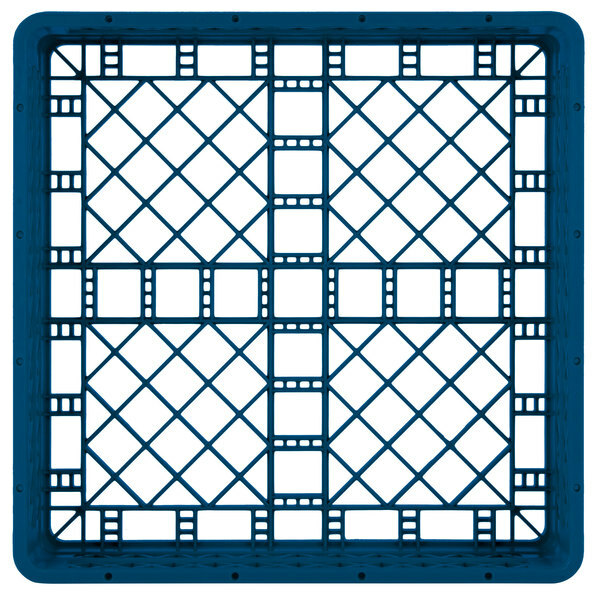 Featuring chemical, impact, and heat resistance up to 180 degrees Fahrenheit for 30 minutes, the open profile of this Traex® rack allows for top-to-bottom and side-to-side water and air circulation, ensuring thorough washing, sanitizing, and quick drying. 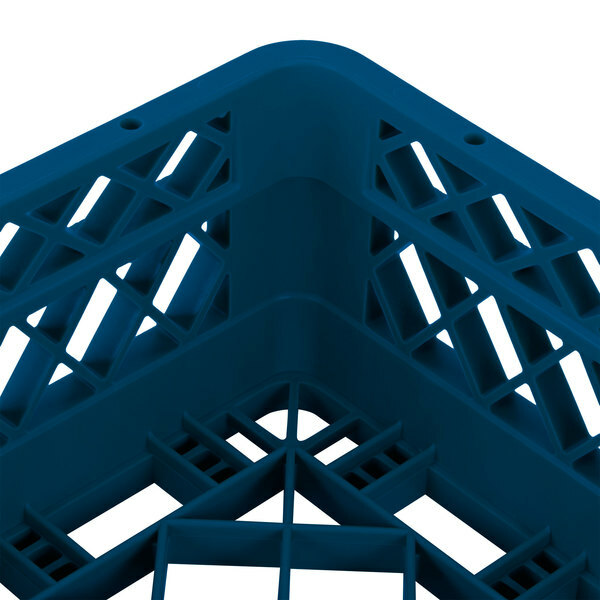 The convenient snap-fit feature of the extender prevents it from becoming loose during the washing cycle, meaning you can count on this rack to protect your dishware through washing, storage, and transportation. 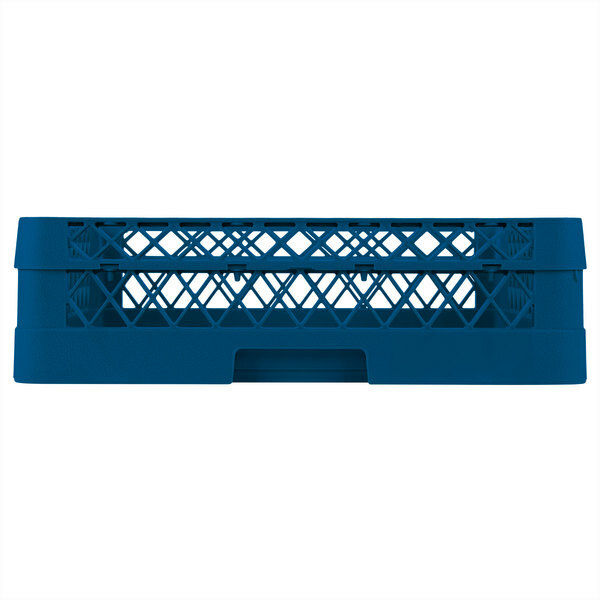 Lift and transport this rack with ease thanks to the molded-in comfort-grip handles on each of the four sides! The four handles make for easy carrying by staff, while also eliminating the need to rotate racks before loading into the dish machine. 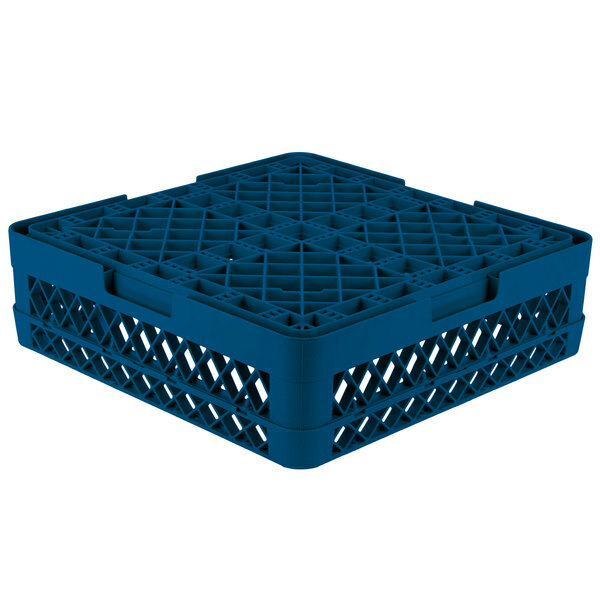 With a double wall, co-polymer plastic construction, this open rack is extremely sturdy, ensuring years of heavy use. 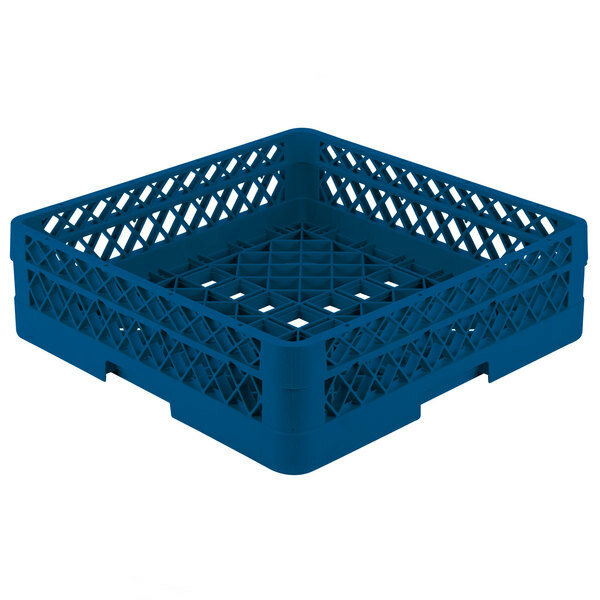 With its royal blue color, this full-size rack is a must-have addition to a color coded warewashing system. 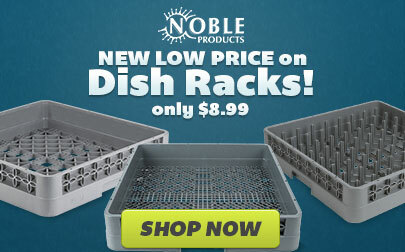 Coordinate it with other sizes and styles of racks (sold separately) for easy dishware identification.